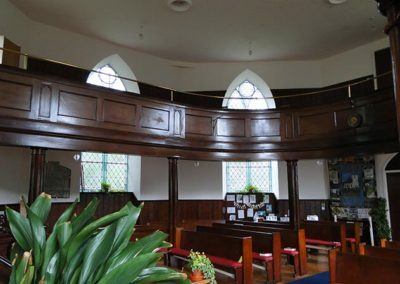 An example of the octagonal churches which came into favour in the late 18th century. 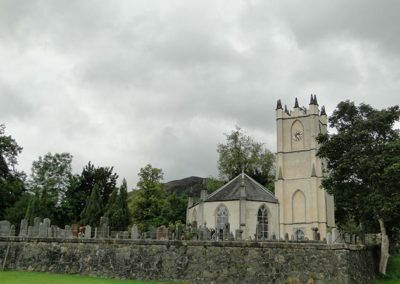 The octagonal Gothic church with its square tower is set in a peaceful graveyard on top of a knoll. 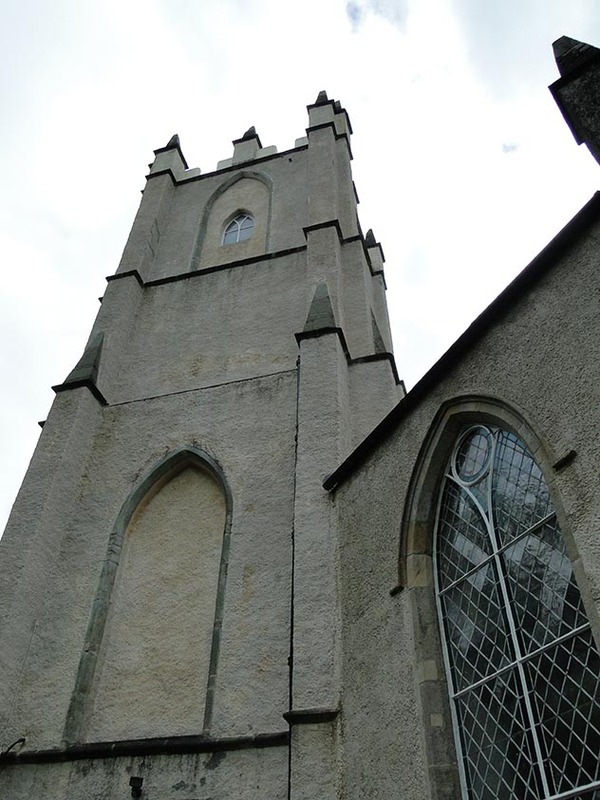 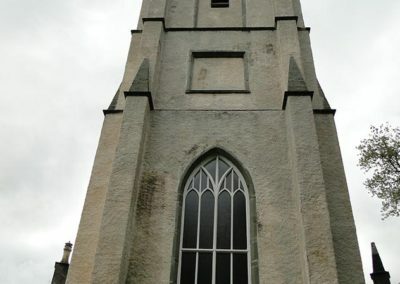 The church is not large, but its elevated position, bright white-rendered walls and the tall tower make it one of the most striking churches in the west Highlands. 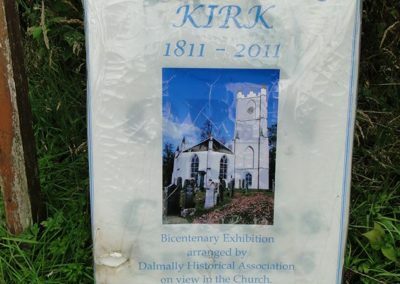 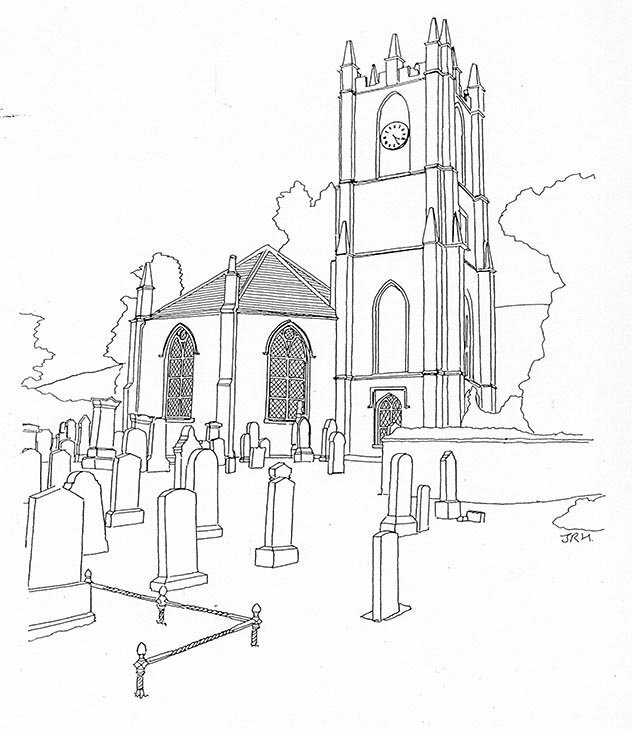 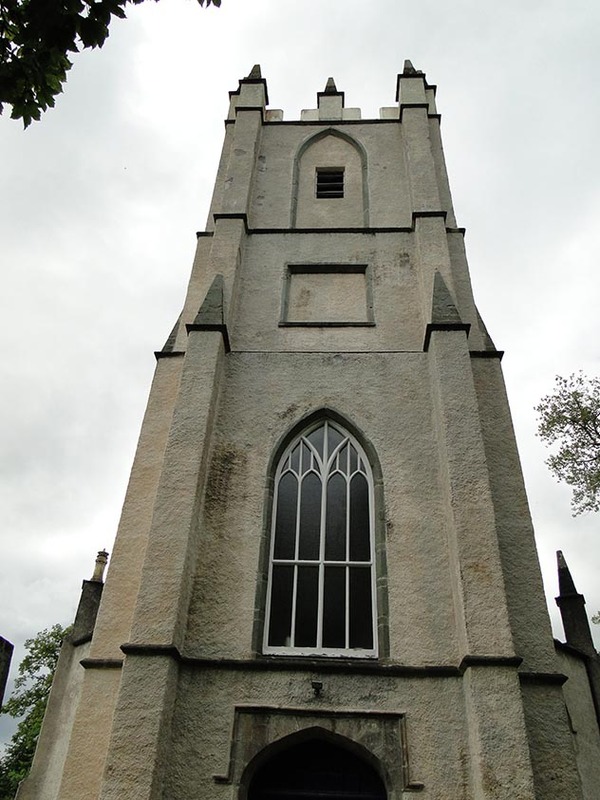 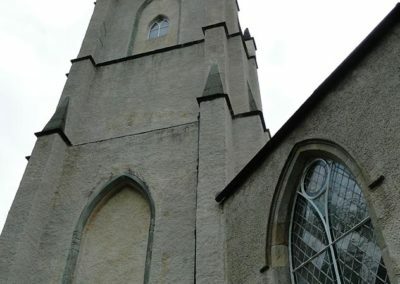 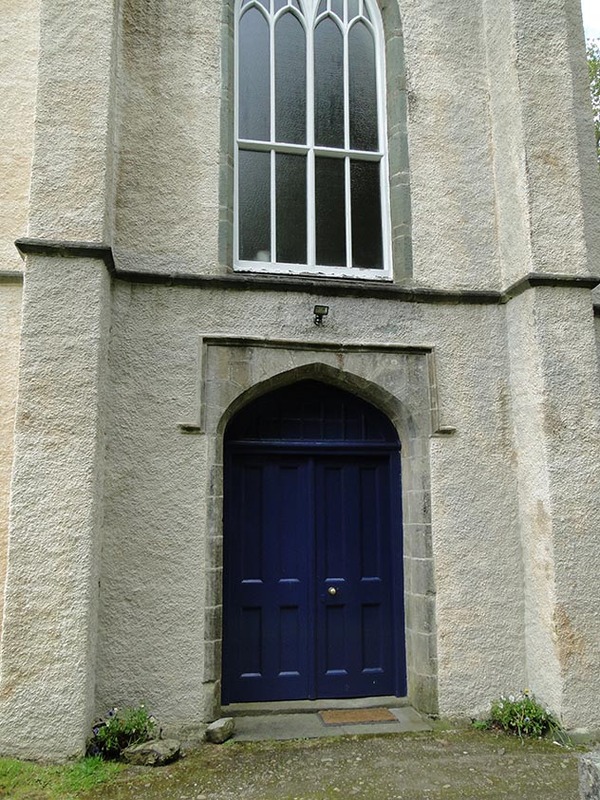 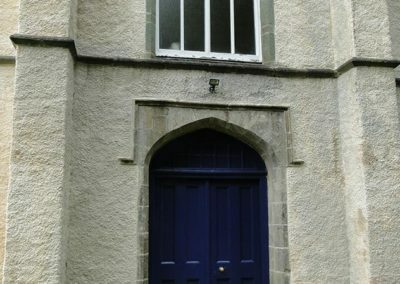 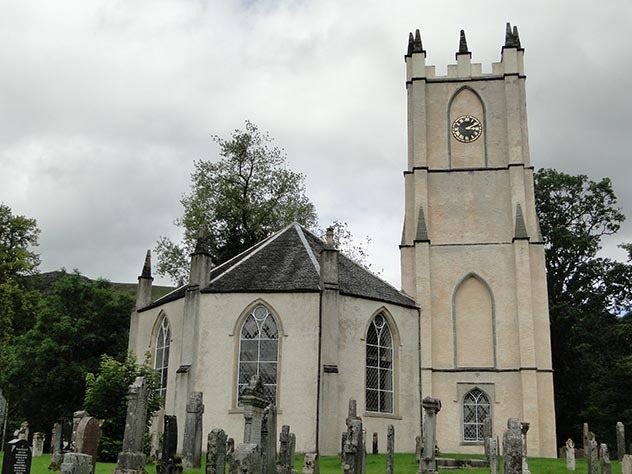 The church was designed by James Elliot in 1810 and paid for by the Earl of Breadalbane. 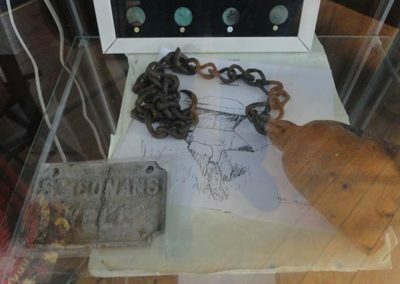 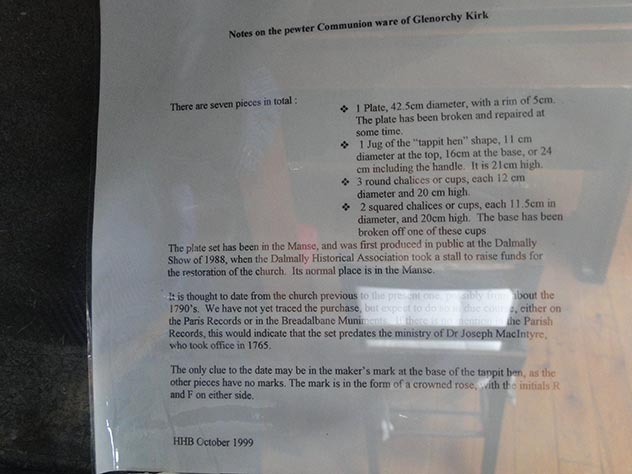 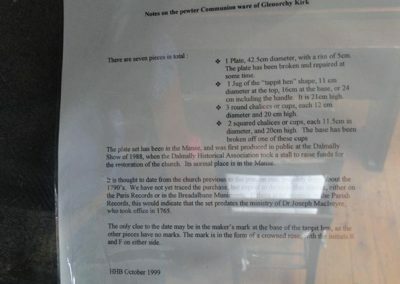 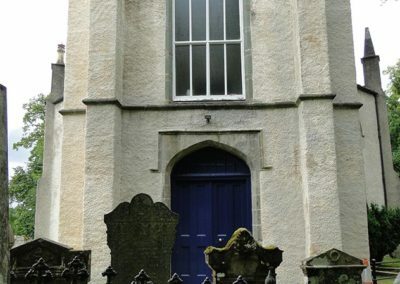 Twenty-six clan chiefs of the Macgregors lie buried under the entrance to the church. 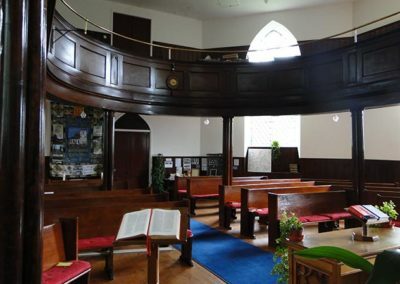 The interior is dominated by the U-plan gallery. 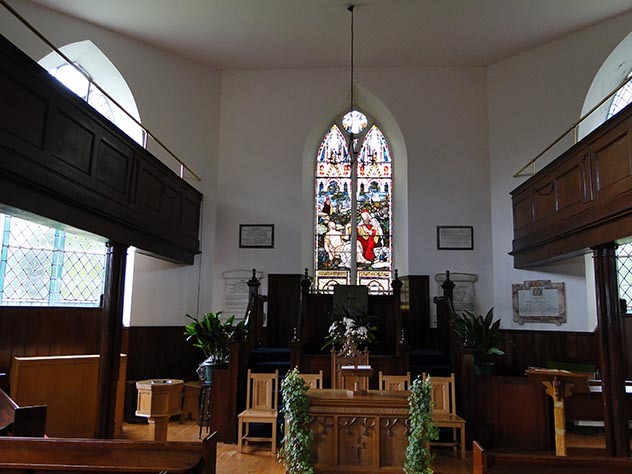 Fine stained glass window of 1898. 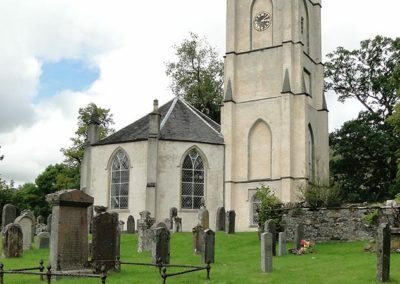 Fourteenth- and 15th-century grave slabs with interlaced floral designs in the burial ground. 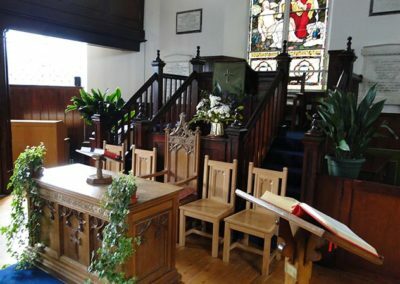 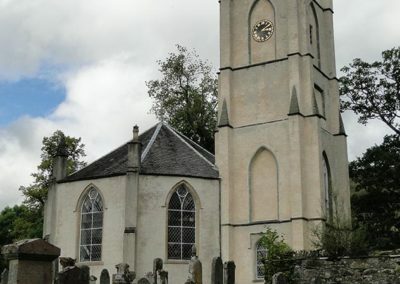 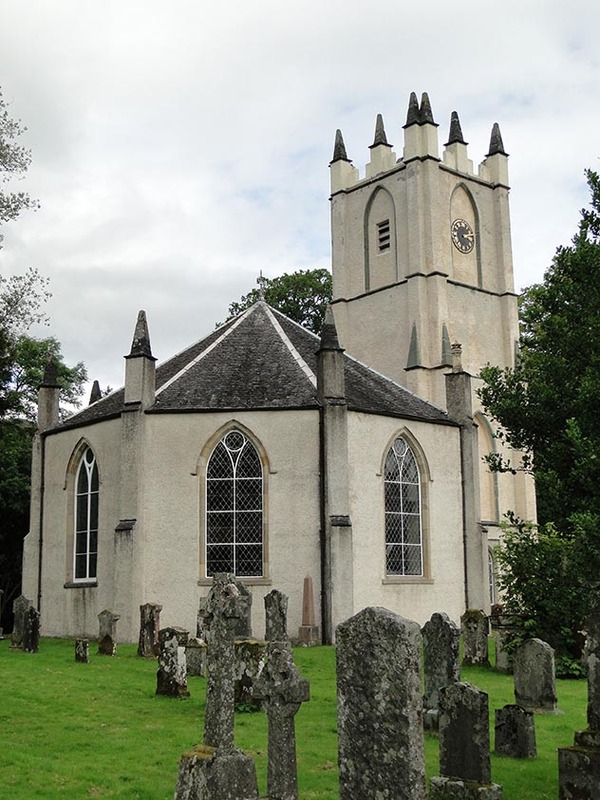 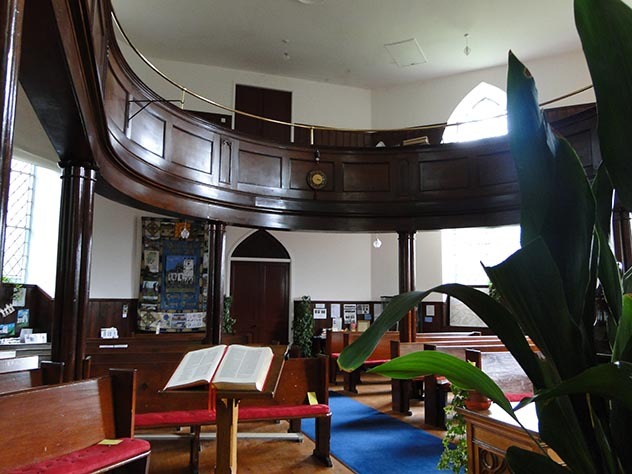 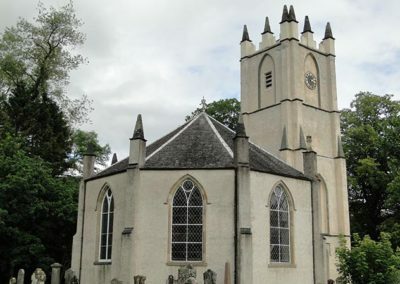 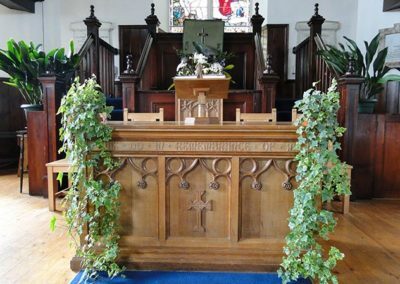 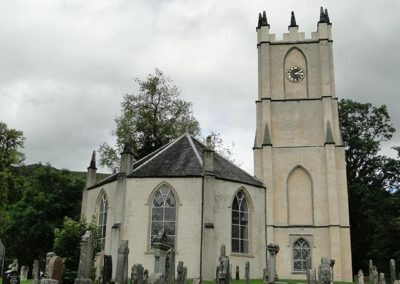 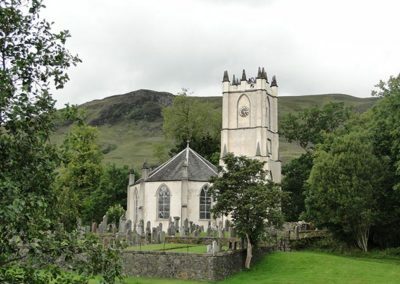 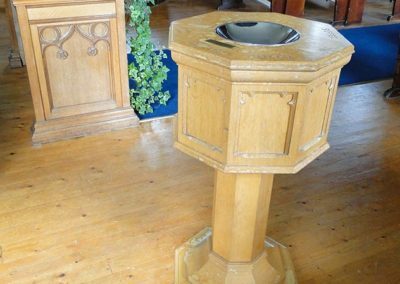 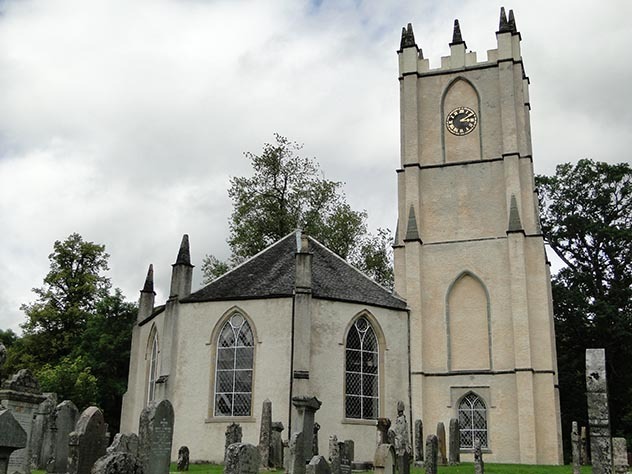 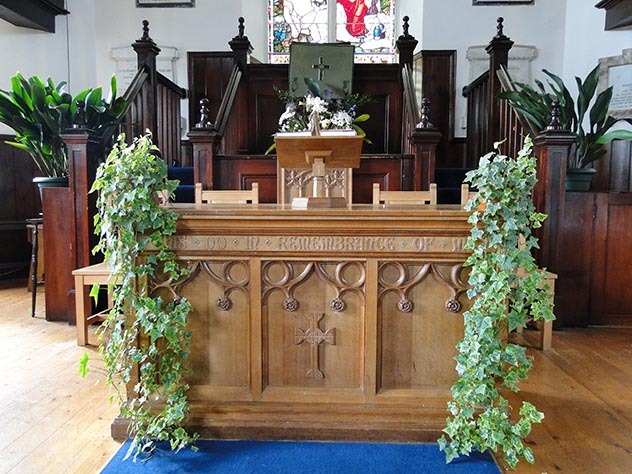 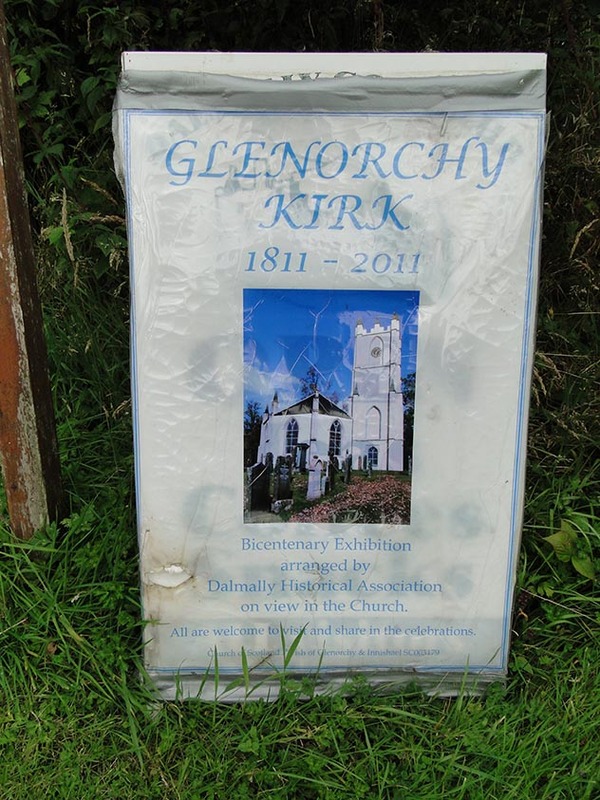 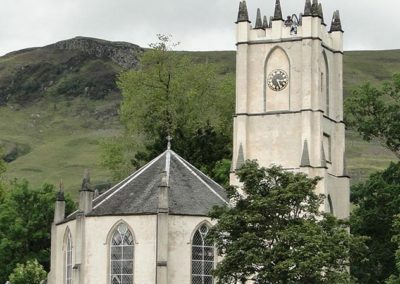 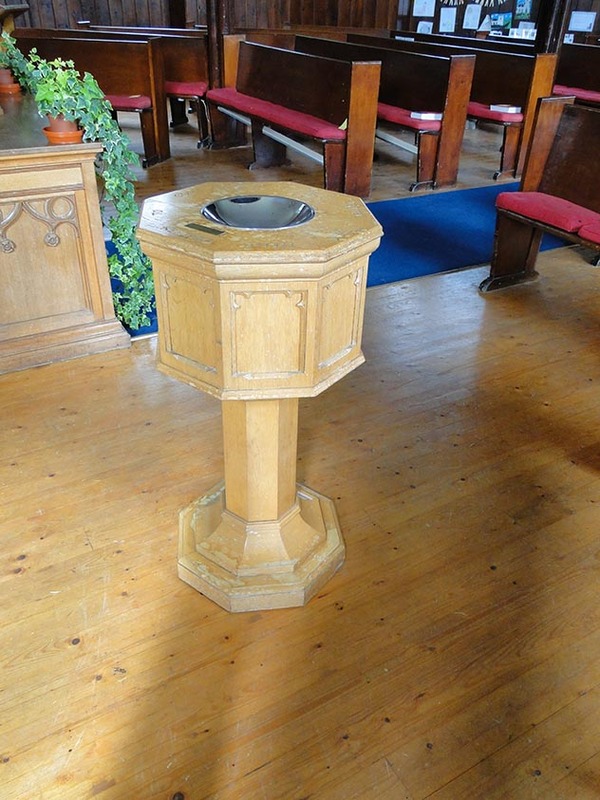 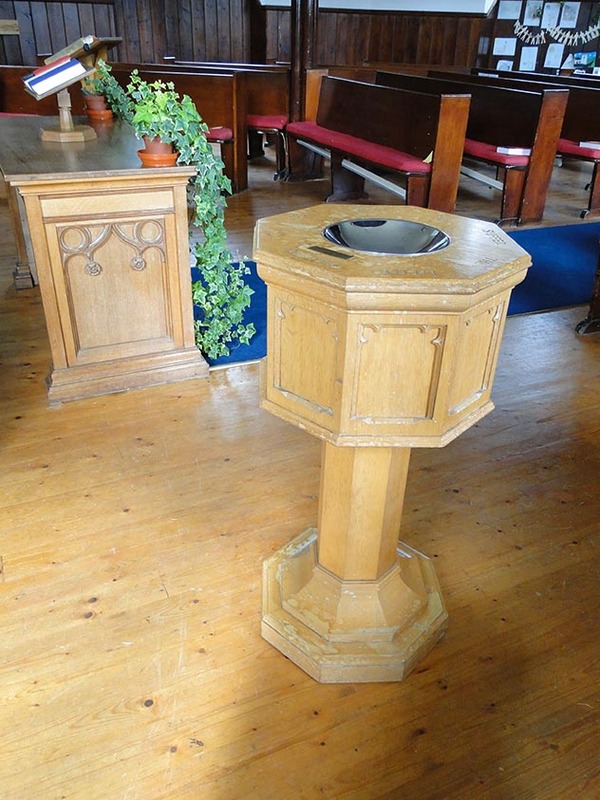 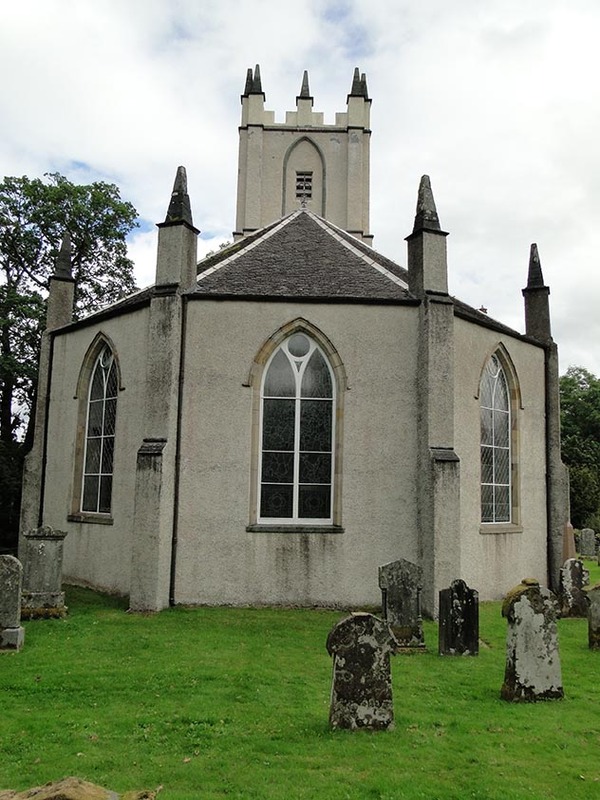 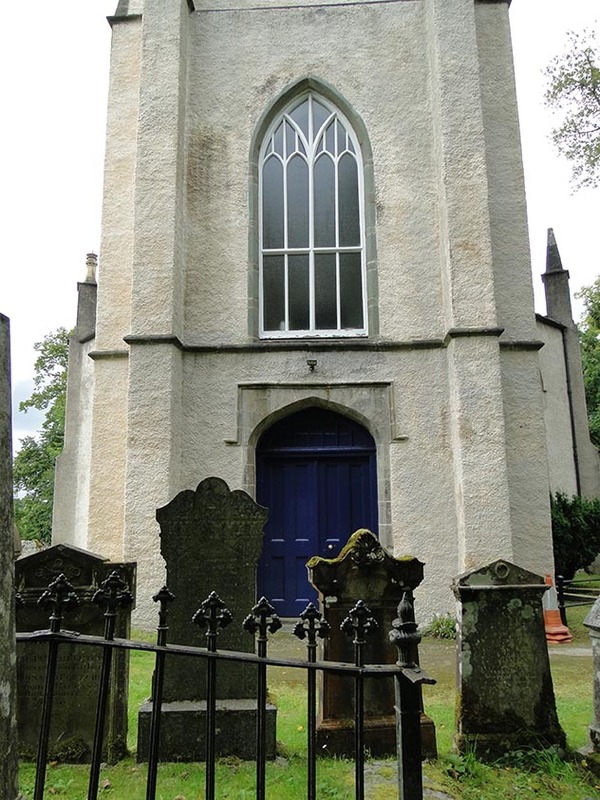 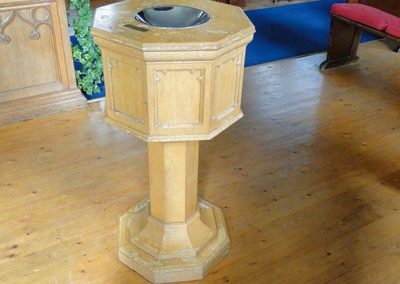 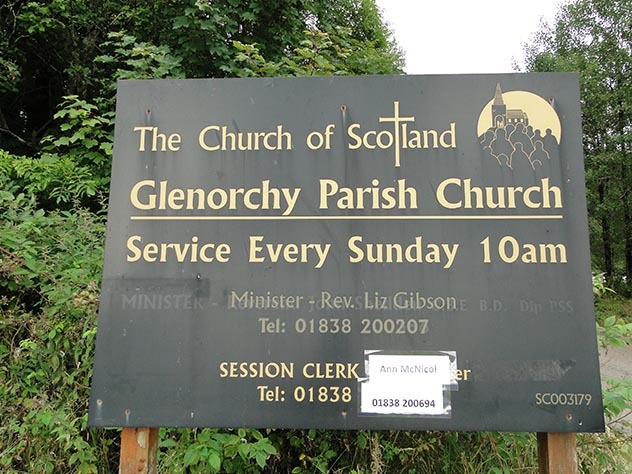 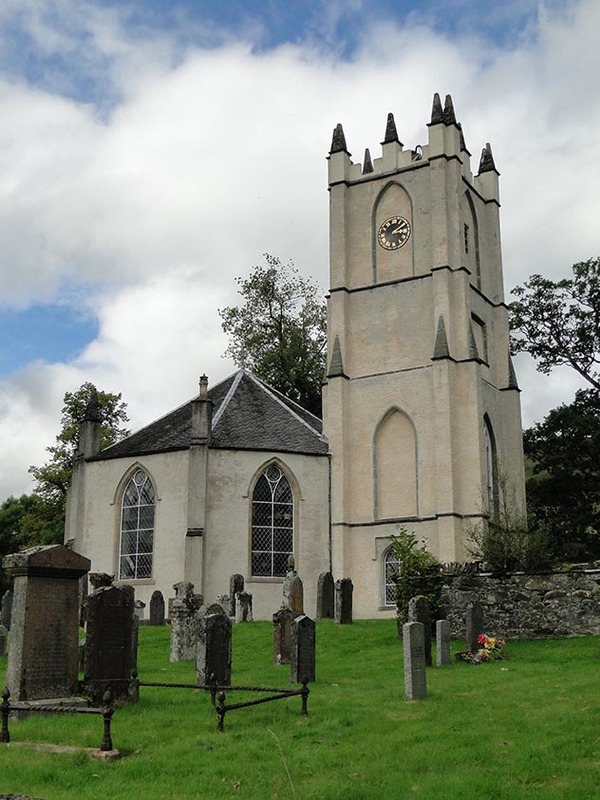 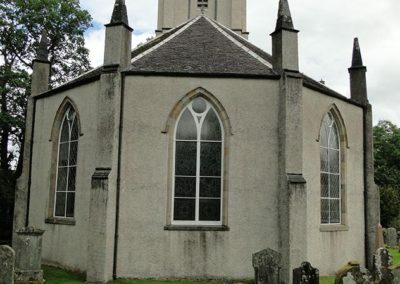 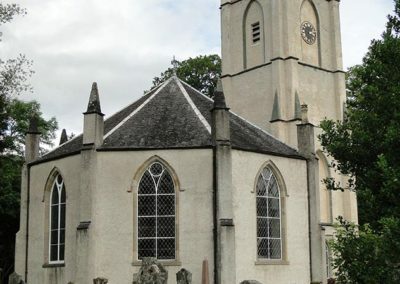 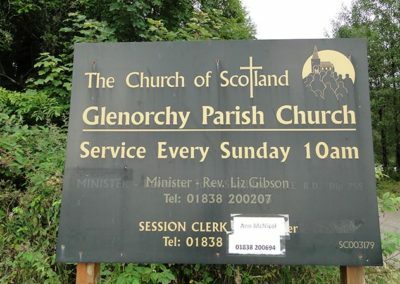 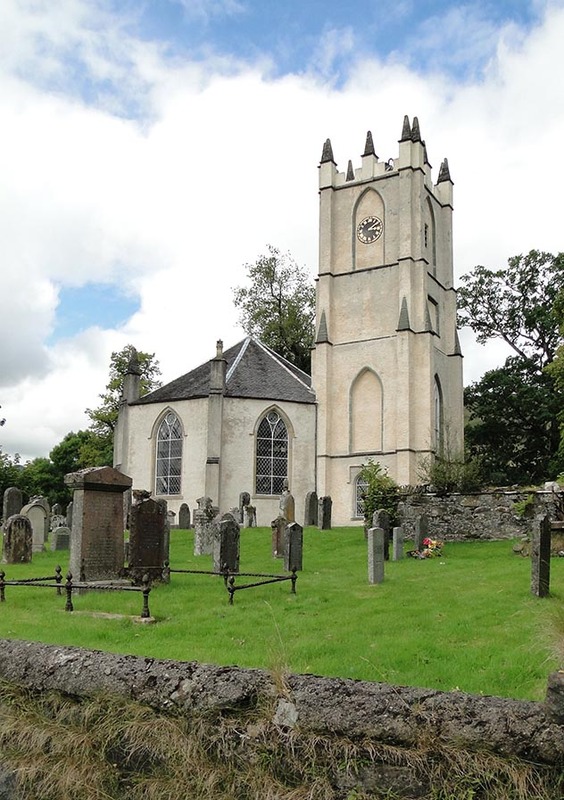 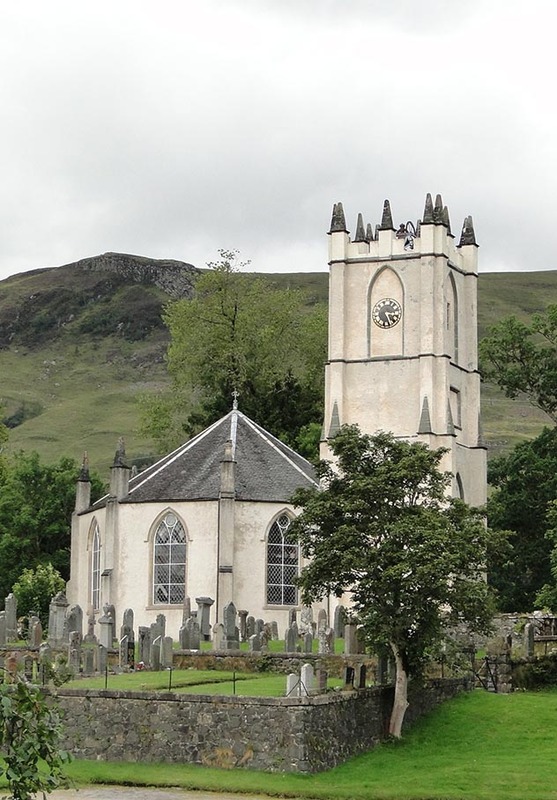 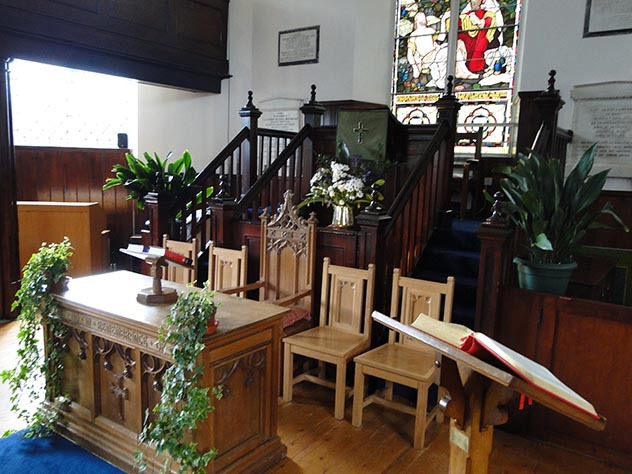 The church has a lovely setting overlooking the River Orchy with views of Ben Cruachan and Ben Lui and provides a tranquil sanctuary for worship or prayer.